Ponds and rivers have inspired some of America’s finest nature writing. Henry David Thoreau’s Walden and A Week on the Concord and Merrimack Rivers and Annie Dillard’s Pilgrim at Tinker Creek readily come to mind. There’s also accomplished New England poet Donald Hall’s Here at Eagle Pond and Seasons at Eagle Pond, among many others. Guy de la Valdène’s On the Water holds its own in such esteemed company. Although I enjoy reading thoughtful meditations on natural history, I was lured to the memoir by its subtitle: A Fishing Memoir. If you as a reader suffer from inverse snobbery, Valdène is easy to dislike. He’s not only a wealthy and privileged Old World aristocrat, but a constant reminder that the rich really do live differently than the rest of us. Nonetheless, his writing trumps class prejudice and money envy. Valdène is an elegant stylist. Reading him is akin to sharing a conversation over a pint in a country pub with a close friend who has thought deeply about the life of nature and the nature of life. 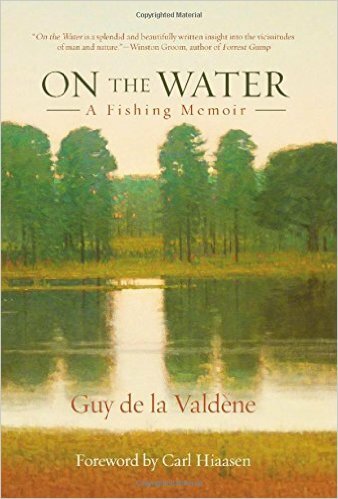 Like all good nature authors, including those who write about hunting and fishing, Valdène is a keen observer who pays close attention to minute details. Armed with an insatiable curiosity about nature and humanity’s relationship to nature, he intuits universal truths revealed through particulars. He’s also given to philosophical rumination, which is learned but not pedantic. I enjoyed his secular hymn to hunting The Fragrance of Grass, even though I have not held a rifle or shotgun in more than four decades. Consequently, I eagerly anticipated On the Water, which acts as a companion to the earlier memoir. And I was not disappointed. Valdène oversaw construction of a 27-acre pond on his 800-acre farm in northern Florida. It has become his still point of the turning world (with thanks to T.S. Eliot). The memoir provides a carefully observed record of the cycle of the pond’s abundant life through the seasons. 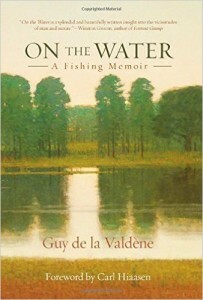 Valdène’s masterfully crafted meditation on water is intimately connected to his love of fishing, which he acquired growing up on a rural estate in Normandy before relocating to America in his late teens. 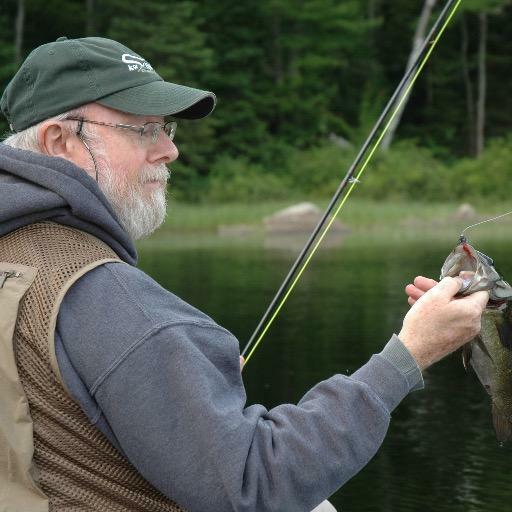 He was an avid fly angler for 35 years. No longer a purist, he now fishes when circumstances dictate with artificial lures, even live bait, in addition to fur and feather. Valdène’s angling of choice for many years was salt water, whether in the Bahamas, Florida Keys or South America, fishing for permit, bonefish and tarpon. 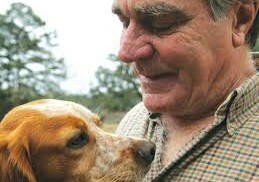 Nonetheless, the essays I enjoy most deal with trout fishing in Montana with American writer Tom McGuane (author of The Longest Silence, one of the great books on fly fishing) and fishing for salmon in New Brunswick and Iceland. Valdène celebrated his partying/fishing/hunting compadres when they were all much younger in the classic cult angling documentary Tarpon. Filmed in Key West in 1973 and featuring the late Richard Brautigan in addition to the aforementioned literary rascals, the film, directed by Valdène, was the first of its kind in what has become a vibrant sub-genre of filmmaking. And like his old buddy Harrison, Valdène is both a gourmet and gourmand when it comes to exotic fish and wild game. I doubt whether the mechanics of casting a fly rod have ever been more gracefully expressed. In addition to On the Water (with foreword by popular Florida-based writer Carl Hiaasen) and The Fragrance of Grass, Valdène has written Red Stag, an elegant coming-of-age sporting novel set in Normandy, and two other non-fiction books — For a Handful of Feathers and Making Game: An Essay on Woodcock.